Joseph Schofer shares responsibility for academic personnel and procedures in McCormick and is strategy adviser to the dean and his staff. 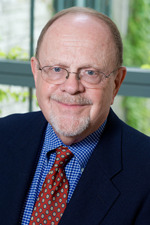 Schofer has served as chair of the Department of Civil and Environmental Engineering, where he has been on the Northwestern faculty since 1970. His research and teaching are in transportation policy planning, analysis, evaluation, and behavior. Joseph Schofer earned a BE from Yale and an MS and PhD from Northwestern.